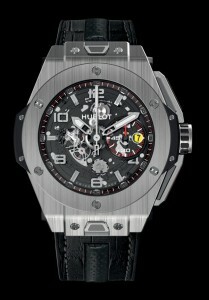 Since November 5th 2011 Ferrari and Hublot have decided to work together intensly. 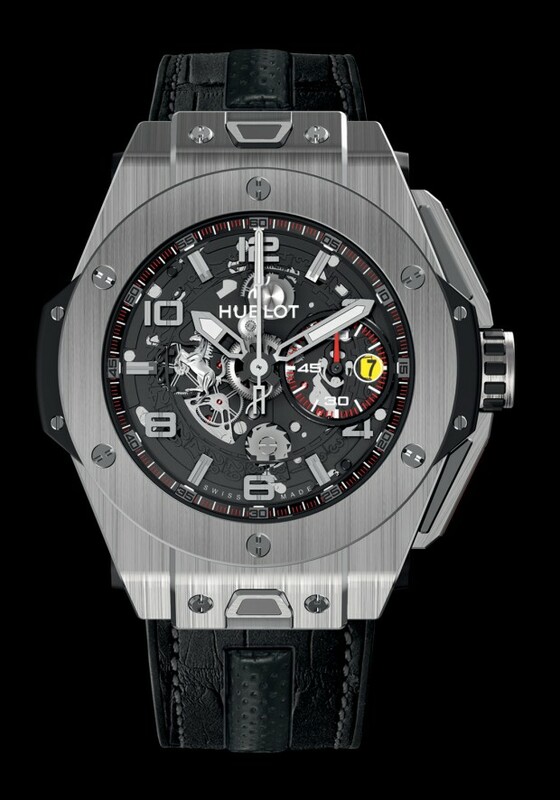 This deal means that Hublot is now the official watch of Ferrari and the Scuderia Ferrari, the official ‘Timekeeper’ of Ferrari, Scuderia Ferrari and the Ferrari Challenge; she is also partner in the Ferrari ‘special events’. The legendary ‘brand’ Ferrari was born on the first of December 1929. 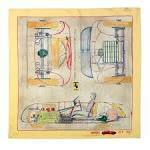 At that date the parents of hero pilot Francesco Baracca donated the symbol of the prancing horse to Scuderia Ferrari; the symbol was placed on a canary yellow background, the colour of the town of Modena. The first Ferrari was built in 1947 and was called 125 S. The race car had a V12 engine with 125 being the displacement per cilinder in cubic centimeters. This name giving was the start of a tradition for Ferrari. 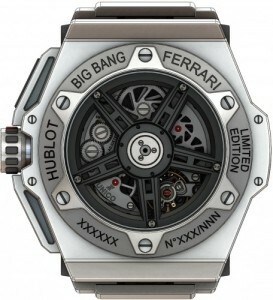 To put clear emphasis on the cooperation with Ferrari Hublot has designed the Big Bang Ferrari. 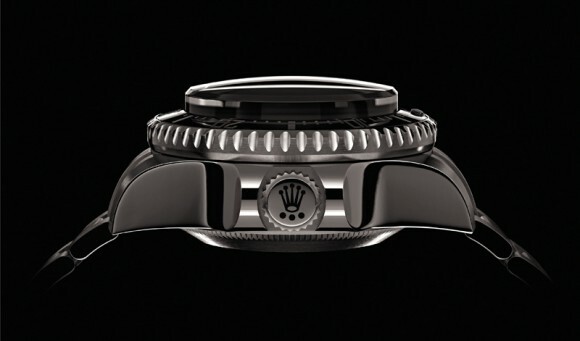 The case has a diameter of 45.5 mm, bigger than normal, and a cilindrical bezel that beautifully shows the movement through the dial made of sapphire glass. The crown with index ( The ‘H’ of Hublot automatically positions itself to stay in one line) has extended push buttons fixed on a rotating axe like the pedals on the Ferrari steering wheel; the case has an carbon fibre inlay. 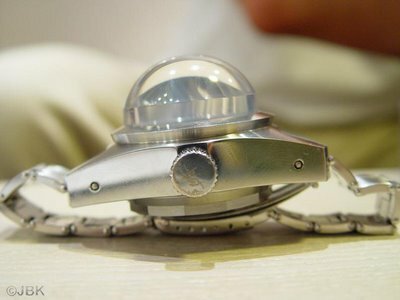 The watch has two bracelets that can be switched with a clever system that is inspired on a car’s seatbelts. The tone on tone stitching is proof of Ferrari’s craftmanship with leather and their centuries old partner Schedoni from Modena. The prancing horse, subtle made with relief, is at the ’9′ position on the dial. At ’3′ one finds the minute counter, it’s hands and dial cite to the dashboard of the Ferrari 458 Italia. The date is shown in ‘Modena’ yellow. The movement of the Big Bang Ferrari is the Hublot Unico 1241 automatic chronograph calibre. The movement has 330 parts and it’s frequency is 28,800 bph. The power reserve of the 1241 is 72 hours. 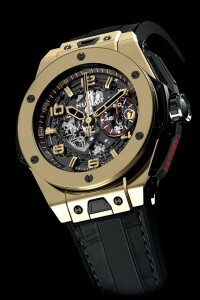 Besides a titanium case the Ferrari is also available in the by Hublot developed Magic Gold. This is a mixture of ceramic material and 18k gold and it’s at least twice as resistant to scratches as pure gold. 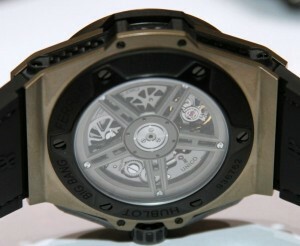 The material is darker than pure gold and has a light green-grey complexion. 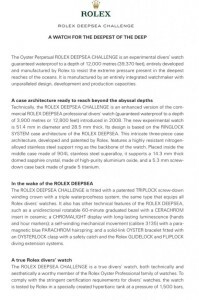 At Baselworld 2013 Rolex introduced the Daytona ref. 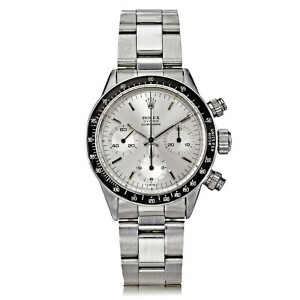 116506 to celebrate 50 years of Daytona’s. 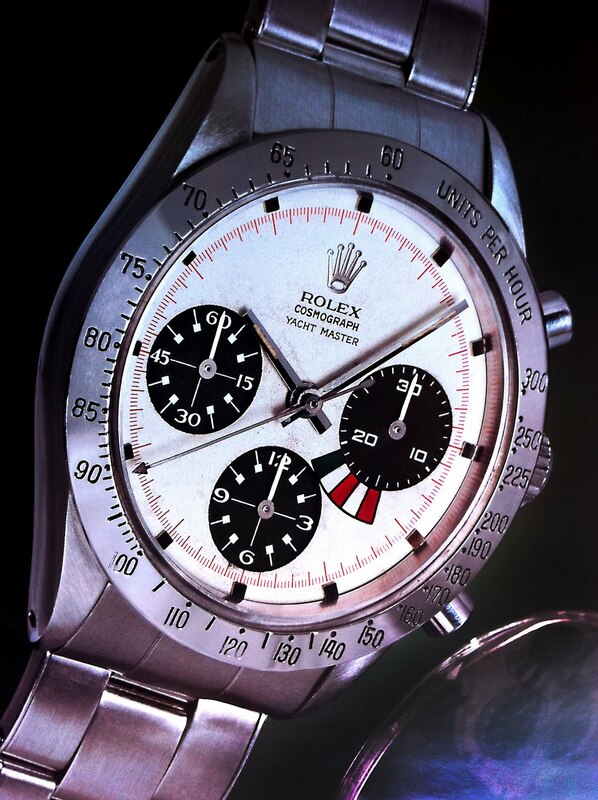 Unfortunately for the many hoping that Rolex would come with a version in steel (some were talking about a re-edition of the Paul Newman Daytona) that would be affordable for most people Rolex took a different path. 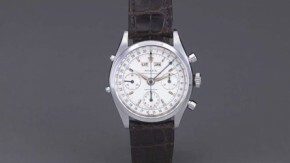 The new Daytona is made of platinum, for the Daytona a first time, and therefore an instant, if expensive, ‘Vintage Rolex’ that will be interesting for collectors. Price wise (est. 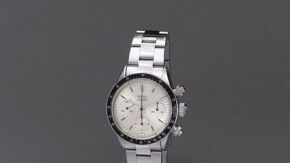 price: 60,650 euro) it is directly at the level of some of the very collectable Daytona’s from the past. 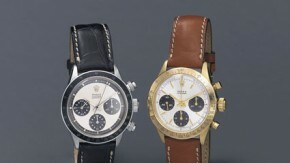 Besides the use of 950 Platinum there are two things of the Daytona that draw direct attention. 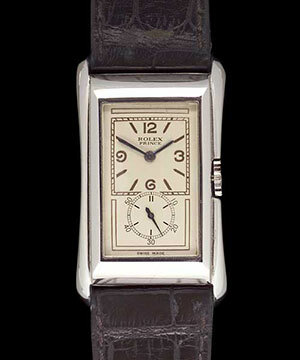 The dial is in ‘ice blue’, a colour that until now was only used for the Day-Date II in Platinum. 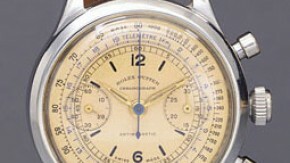 Also remarkable is the bezel in ‘chestnut brown’. The bezel is made of Cerachrom, a bezel in one piece. The problem with a common bezel is that it can get scratches or loose it’s beautiful radiance because of chlorine water in a pool, sunlight or salt water. 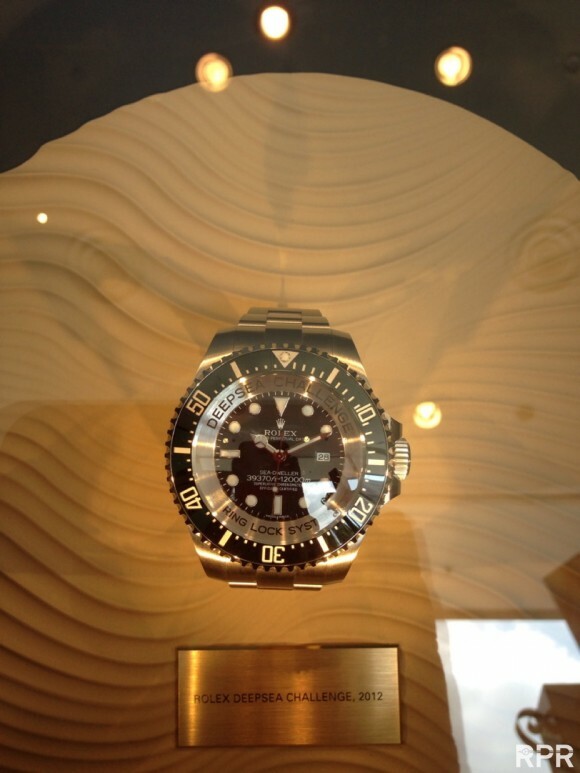 A bezel made from Cerachrom doesn’t have these problems because it’s made from extremely hard ceramic material. Because of this it’s almost impossible to scratch and not sensitive to UV radiation. 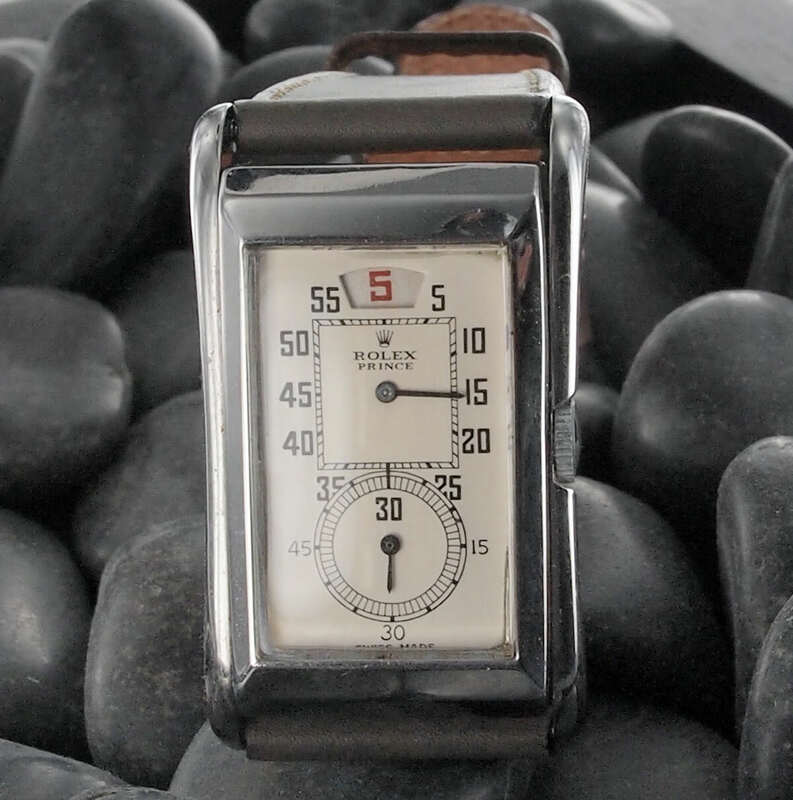 The numbers and the scale on the bezel are engraved into the ceramic material before it gets it’s final extremely hard composure by heating it to a temperature of 1,500 grades Celsius. 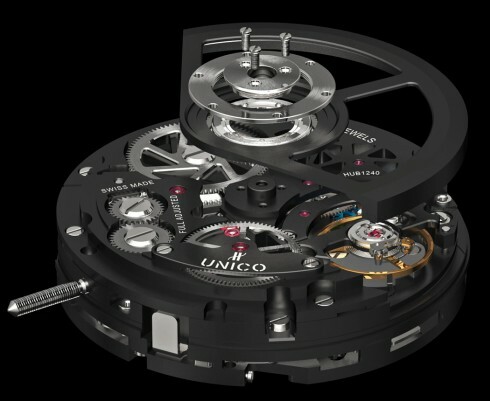 The next step is an illustration of true craftmanship, the bezel, atom by atom, is covered by Platinum or gold and finally it’s polished in order to remove all metal that is not inside the numbers and the scale on the bezel. 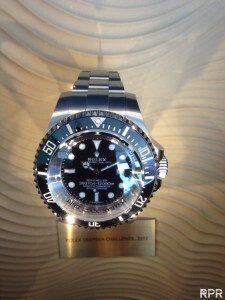 It causes no surprise that it takes 40 hours to fabricate this bezel for eternity. 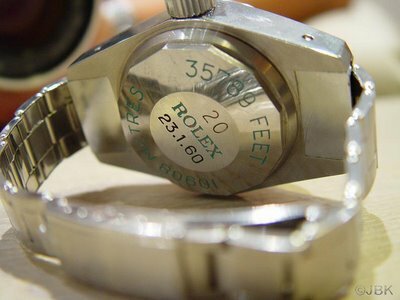 Putting the Platinum Rolex on your wrist you directly feel that this is something special, the weight of the watch being 183 gram. Platinum is a chemical element with the symbol Pt and atom number 78. The name comes from the Spanish term ‘platina’ which means ‘little silver’. It is a compact, forgable, extendable, precious grey-white transitional metal. It is one of the rarest elements in the layers of the earth and it’s average density is 5 mu grams/kg. South-Africa is responsable for 80% of the world production. Platinum was used by the pre-Colombian Americans in the area of today’s Esmeraldas, Ecuador to produce artefacts of a white gold-platinum alloy. The first European reference to Platinum dates from 1557 in the writings of Italian Humanist Julius Caesar Scaliger describing an unknown precious metal found between Darien and Mexico, “which no fire nor any Spanish artifice has yet been able to liquefy”. 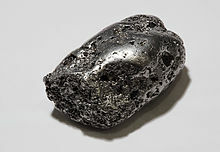 In 1741 Charles Wood, a British metallurgist, found different samples of Colombian Platinum in Jamaica which he sent to William Brownrigg for further research. 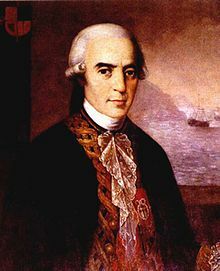 Antonio de Ulloa returned to Spain in 1746 after being away for eight years on the French geodetic mission. In his report of the mission he described Platinum as non dividable and non calculable. He also predicted the discovery of the Platinum mines. In 1750 Brownrigg presented a detailed report of his findings with Wood’s Platinum to the Royal Society. It was the first time that Platinum was mentioned in official papers and he also mentioned the extreme high melting point of the metal. In 1786 Charles III of Spain gave Pierre-Francois Chabaneau a laboratory and a library to be able to do further research of Platinum. Chabaneau managed to remove several impurities from the ore, like gold, mercury, lead, copper and iron. 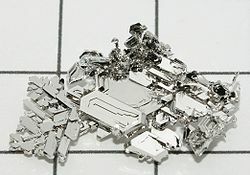 After months of testing Chabaneau managed to produce 23 kilos of pure, forgable Platinum by using hammer and pressure when the metal was white-hot. 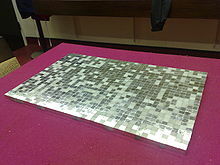 Chabaneau realised that the properties of Platinum would give value to objects made from it and together with Joaquin Cabezas he started a business that produced Platinum blocks and kitchen apparel. 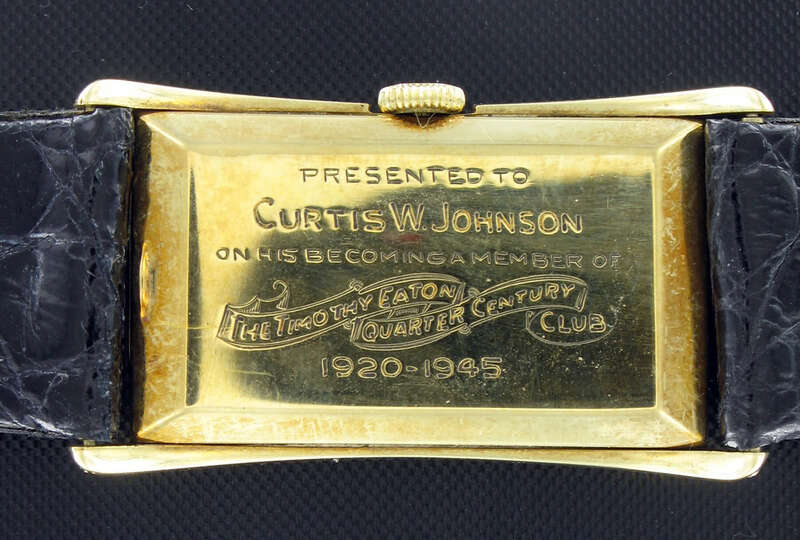 This was the beginning of what is known as the ‘Platinum Age’ in Spain. Platinum, together with the rest of the Platinum metals, is a commercial byproduct of nickel and copper mining. When copper is put under electricity precious metals like silver, gold and the Platinum metals sink to the bottom of the cell where they form an ‘anode sediment’. From the sediment the extraction of the Platinum metals takes place. When one finds pure Platinum in the ore there are different methods to remove the impurities. Because of the high density of Platinum lighter impurities in the fluid can be separated and because Platinum is non-magnetic nickel and iron can be removed. The high melting point of Platinum gives the opportunity to remove other metals using heat. Platinum is resistant to hydrochloric and sulfate acids so this can also be used to remove impurities. A fitting method to purify raw Platinum, existing of Platinum, gold and other Platinum metals, is to work it with ‘aqua regia’ in which palladium, gold and Platinum are solved while osmium, iridium, ruthenium and rhodium do not react. Gold is bound to Fe3-chloride and is filtered after which ammonium-chloroplatinate is formed. By heating this one gets pure Platinum. In 2010 245 tons of platinum was sold of which 113 (46%) for emission control devices in cars and 76 (31%) for jewellery. The rest, 35.5 tons, was used for investments, electrodes, cancer medication, oxygen sensors, spark plugs and turbine engines. During periods of economical stability and growth the Platinum price is about twice as high as the gold price but during periods of uncertainty lowers under the gold price; this effect is caused by a declined industrial demand for Platinum. All in all gold is considered a safer investment because it doesn’t depend on industrial factors. 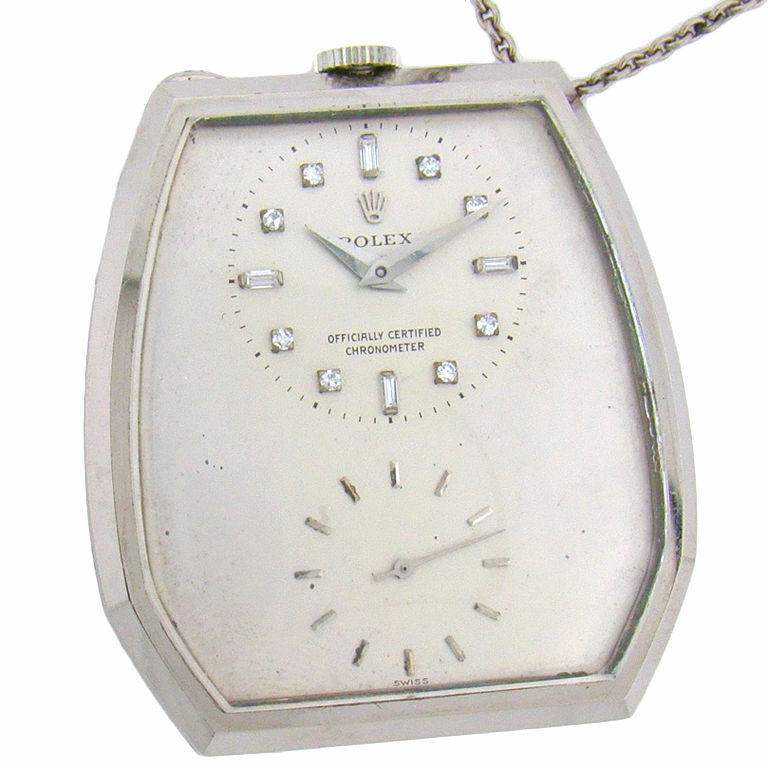 In the 18th century King Louis XV of France declared Platinum to be the only metal fit for a King because of it’s rareness. The attractiveness of Platinum in jewels, usually a 90-95% alloy, is caused by it’s inertia and radiance. Publications in the jeweller’s business advise jewellers to commend highly of small superficial scratches (‘patine’) as an attractive phenomenon. 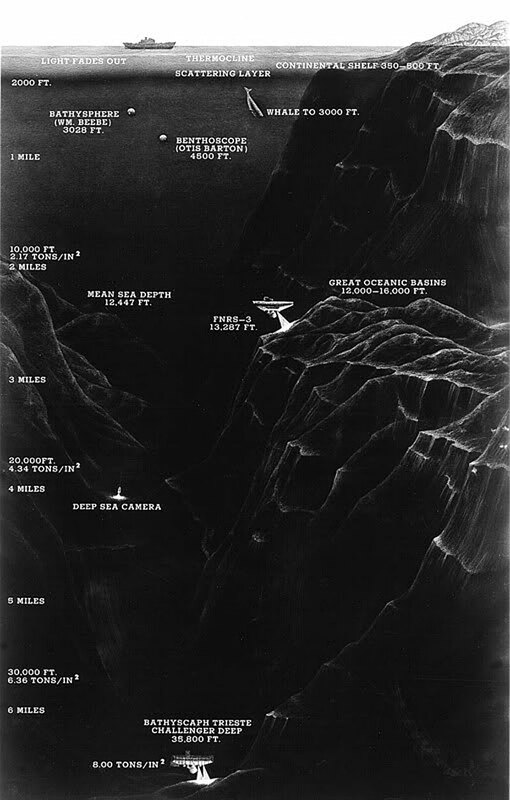 On January 23rd 1960 Jacques Piccard and Lt. Don Walsh, a submarine commander in the US Navy, submerged with the vessel Trieste into the Mariana Trough near Guam. In the end they stayed for 20 minutes at a depth of 36,000 feet below sea level. 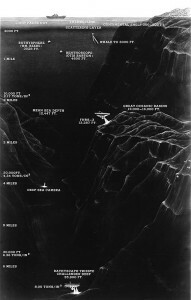 During their decent they had heard cracking noises at a depth of 30,000 feet and when Piccard saw the cracks in the windows of the Trieste at the bottom of the trough he decided to return to the wild waves near Guam. 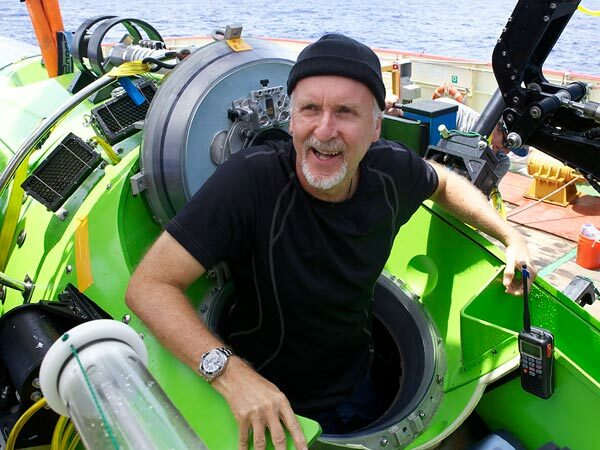 Director James Cameron has always been fascinated by life at the great depths of the world seas. He had already been aboard on several, mostly Russian MIG boats, submarines for 71 times before in 2002 he came up with the plan to submerge into the Mariana Trough. Simultaneously there are 3 other parties who are preparing for the same expedition. Among them a couple of familiar names, the founder of Google Eric Schmidt and Virgin boss Richard Branson. In June 2011 a great honour befalls Cameron: the National Geographic Society adds him to the list of guest-researchers. Together with National Geographic and Rolex Cameron formulates the final plan to make the first manned dive into the Trough since 1960 and the first solo dive. 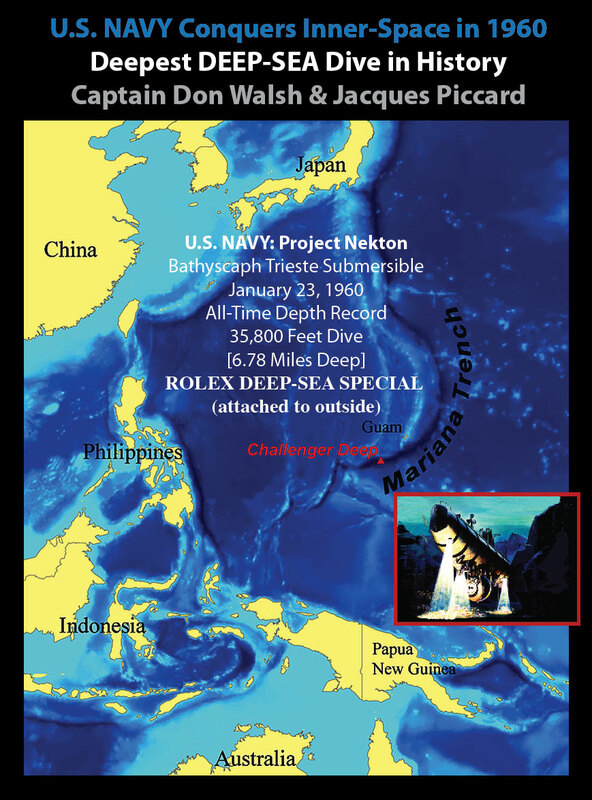 On the 23rd of June 2012 at 5.15 hour the Deepsea Challenger, Cameron’s submarine, slides into the salt water about 300 km southwest of Guam. After 2.36 hours Cameron is finally at the bottom of the Trough. He stays there for three hours to collect material and animals with the robot arm on his vessel and to make pictures and 3D movies. This is the big difference with the 1960 enterprise, Piccard and Walsh were at the bottom for only 20 minutes and didn’t do any research. 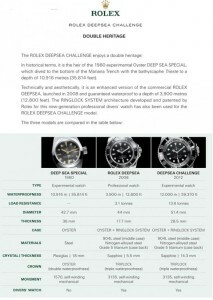 In 1960 Rolex had developed the Deep Sea Special especially for the dive of Piccard and Walsh. 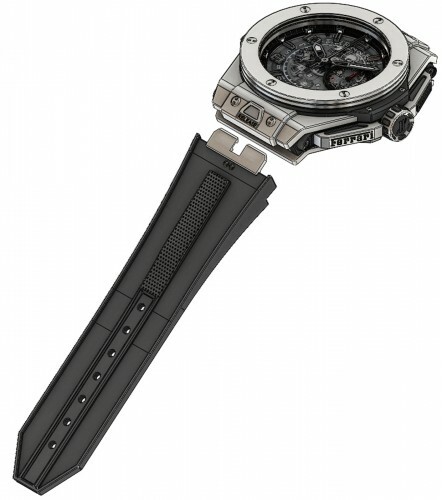 This watch was attached to the outside of the Trieste and withstood the enormous pressure at a depth of more than 10 km without a scratch. 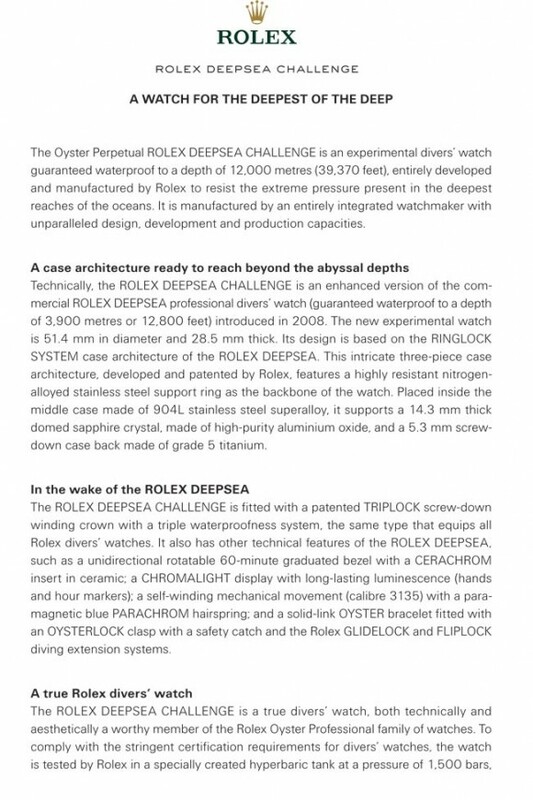 In 2008 Rolex introduced an upgraded version of the famous Sea-Dweller, called the Sea-Dweller Deepsea. 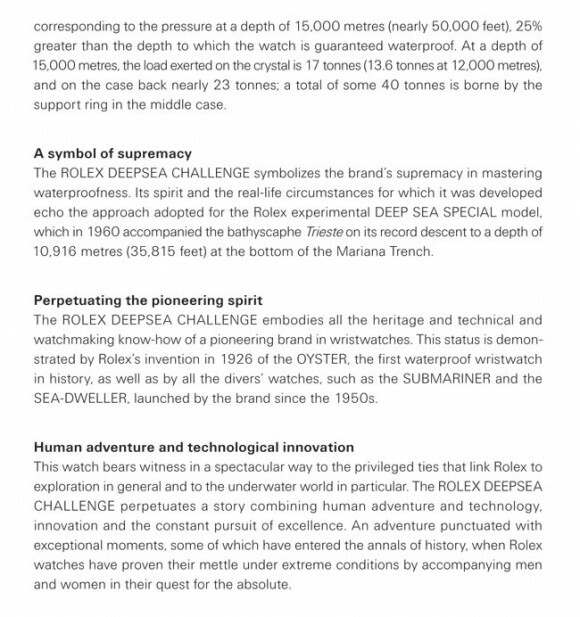 The former watch was water resistant to a depth of 1,220 m, the latter could even go to 3,900 m.
For the expedition of Cameron Rolex pushed the limits of the watch even further. 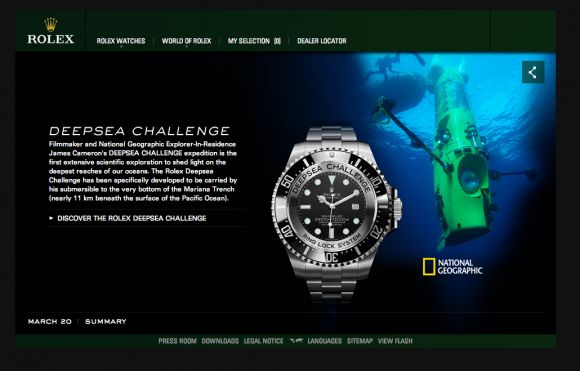 They designed the Deepsea Challenge 2012, developed with the Sea-Dweller Deepsea as starting point. 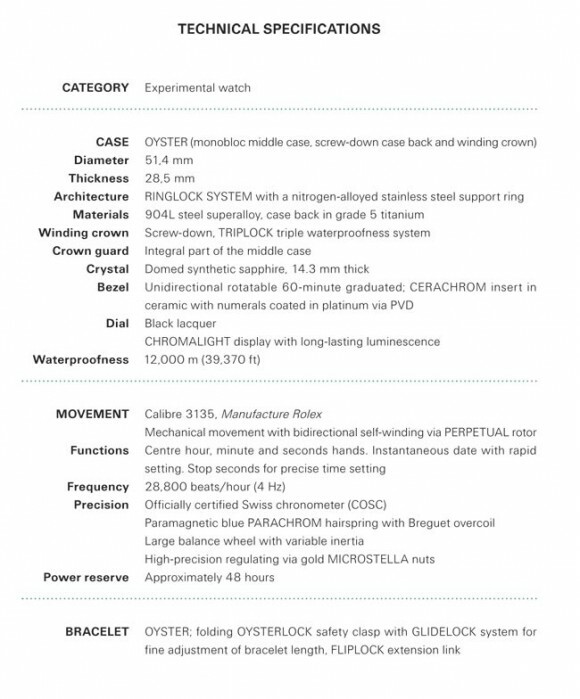 Technical aspects of the 2008 model, like the Ring Lock System, the Triplock crown and the case back in titanium, were also used on the new model. The Deepsea Challenge was prepared to withstood the enormous pressure of the water at a gigantic depth of 12,000 km. To do this Rolex needed a pressure tank in which tests could be performed at a pressure of 1,500 bar. 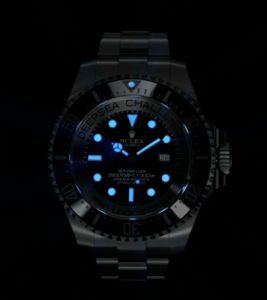 In cooperation with the French diving firm COMEX (Rolex made Submariners and Sea-Dwellers for this firm for years) they made the tank they needed. 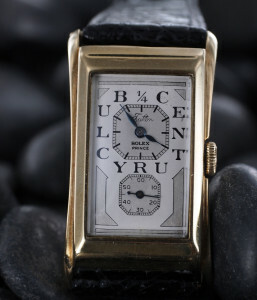 Under these circumstances the pressure on the watch glass is 17 tons, on the case back 23 tons and 40 tons on the middle part. 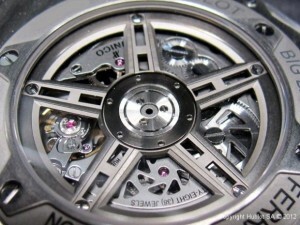 To be able to cope with these enormous pressures the case is even bigger and the sapphire glass even stronger. The diameter of the Deepsea Challenge is 51,4 mm and it’s height is 28,5 mm, 10,8 mm more than the not really slender Sea-Dweller Deepsea. 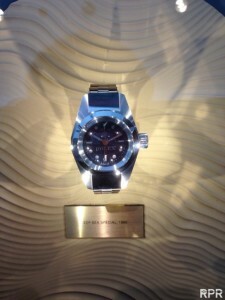 The sapphire glass is 14,3 mm thick (compared to the serie model’s 5,5 mm). 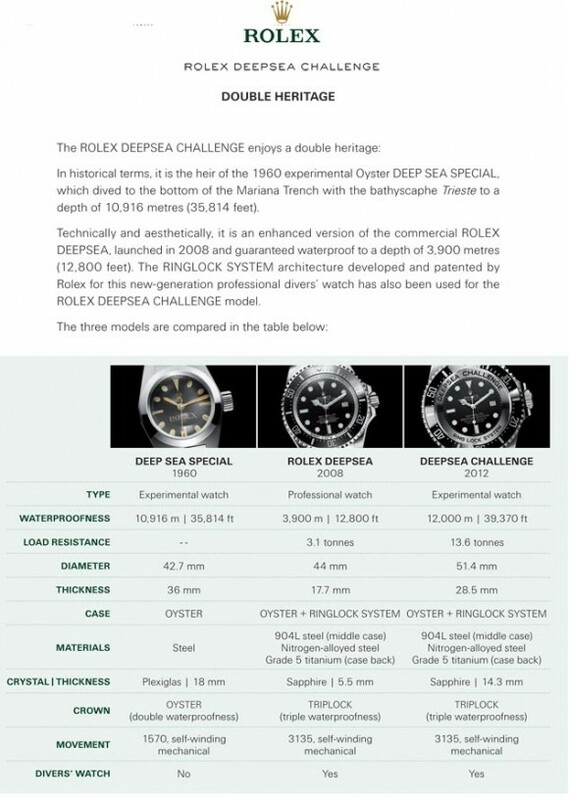 When compared to the Deep Sea Special from 1960 it becomes clear how much progress Rolex has made with the 2012 model, especially in the use of materials. 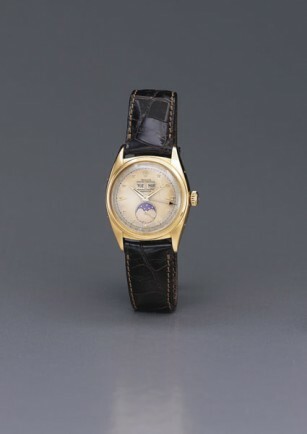 The latter model is 7,5 mm less thick than the watch from 1960. 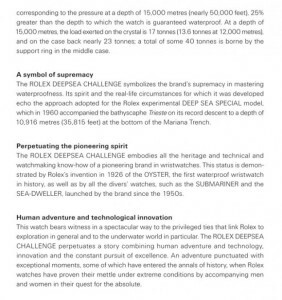 In part caused by the movie on YouTube that shows the design and manufacturing of the Deepsea Challenge 2012 collectors started intense speculations if Rolex would ever bring the watch, limited or not, to the market. Unfortunately this never happened. 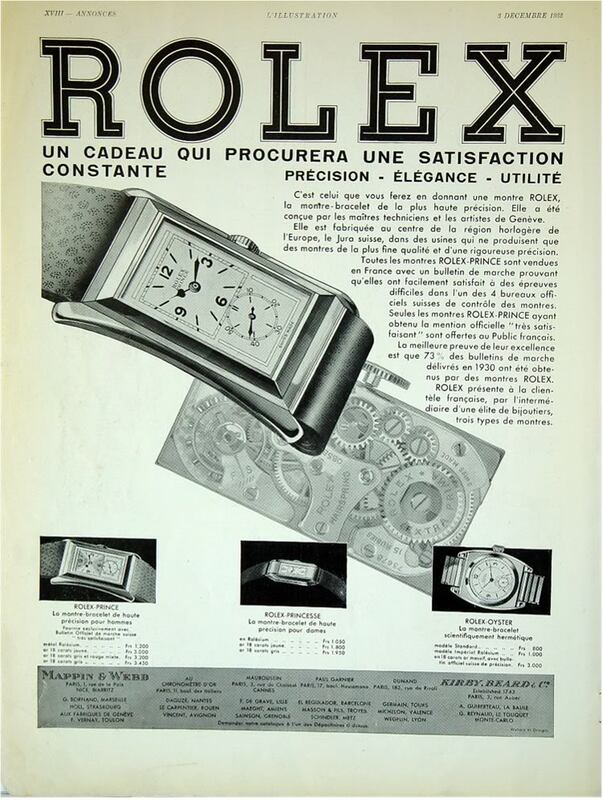 In 1928 Rolex introduced the Prince which almost instantly became known as the doctor’s watch. 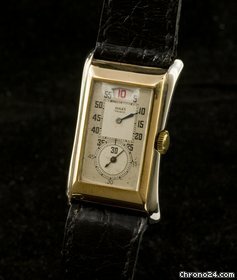 The rectangular watch had a bigger dial on top for the hours and the minutes and below that a smaller dial for the seconds. That made it easy for a doctor to measure a patient’s pulse rate. In the history of watches the Rolex Prince is seen as one of the most groundbreaking watches. 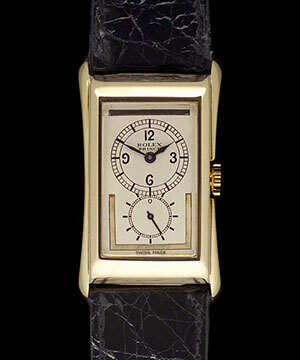 After it came on the market in 1928 it immediately set new standards for accuracy and ease of use for luxury watches. After it’s introduction the Price was for sale in two different styles for the case, one a more rectangular (Classic) and the other one a much more round design (Brancard). Rolex used several materials to manufacture a Prince, yellow gold, sterling silver, platinum and two-tone combinations (later steel also became available). The Classic was Model 1343 and the Brancard Model 971. 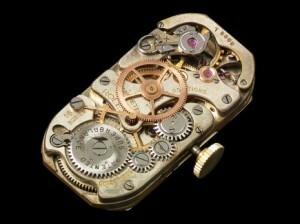 Soon after it’s introduction the manual wound movement was replaced by an automatic one. 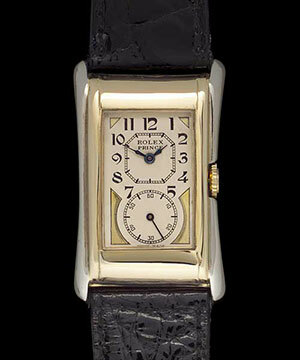 In the ’30s of the last century the price of a Rolex Prince was about the same as that of a car. The following illustrates that. 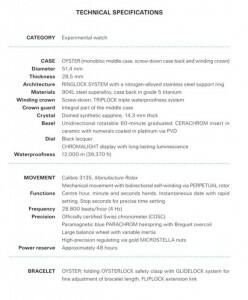 The Gruen doctor’s watch and the Rolex Prince both have the same movement. The former was made for the American market, the latter for the rest of the world and therefore they were not sold as competitors. Still, the price of the Gruen watch was only 30% of the price of a Prince. 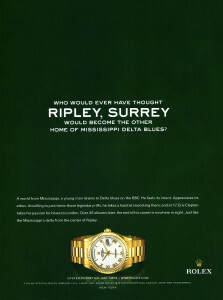 Once again Rolex proved to be brilliant in their marketing and showed how strong the brand was. In 1935 Rolex started with the production of the ‘Railway Prince’. It was designed with the forms of a locomotive in mind and was registered as Model 1527. 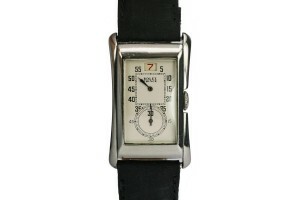 The next new model, the ‘Jumping Hours’, was a truly new, futuristic design. The upper dial of the watch now had only a minute hand and the hours could be read as numbers (1-12) through a hole in the dial at the 12 o’clock position. 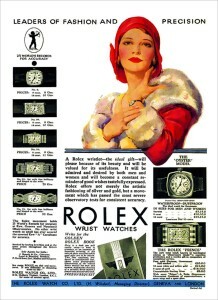 Years later this invention was the inspiration for the development of the Rolex Datejust. 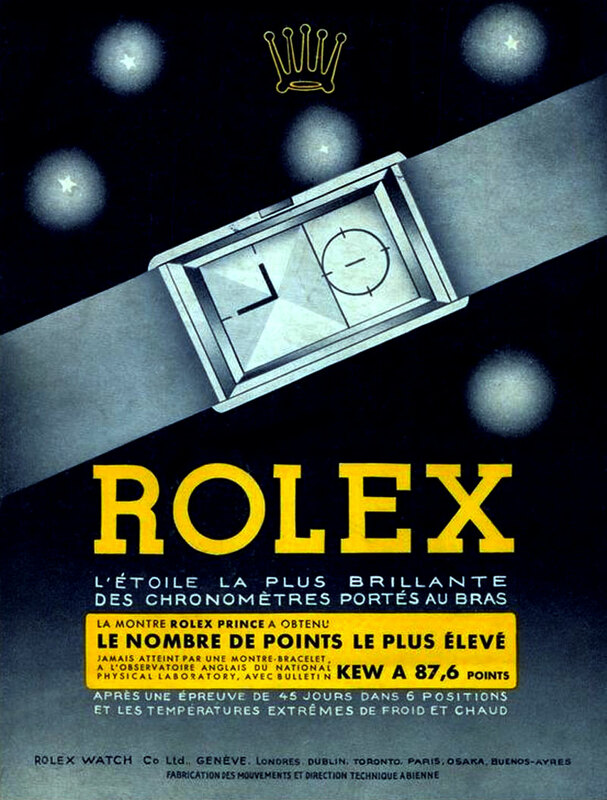 One of the last models of the Rolex Prince series was the ‘Super Precision Aerodynamic’. This watch had one big dial for the hour, minute and second hands. Somewhere during the 40s the production of the Rolex Prince ended and it got replaced by more round and sports models. 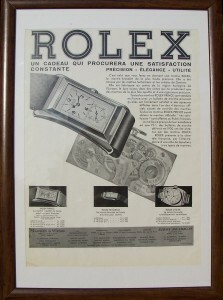 During it’s existance several ‘special editions’ of the Rolex Prince were manufactured. The ‘Sporting Prince’ was one of them. It was a pocket watch designed to be used during athletic activities. 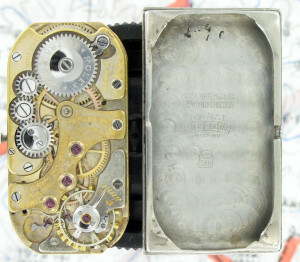 The movement was in a case which had a spring mechanism with which the dial could pop up from the case. 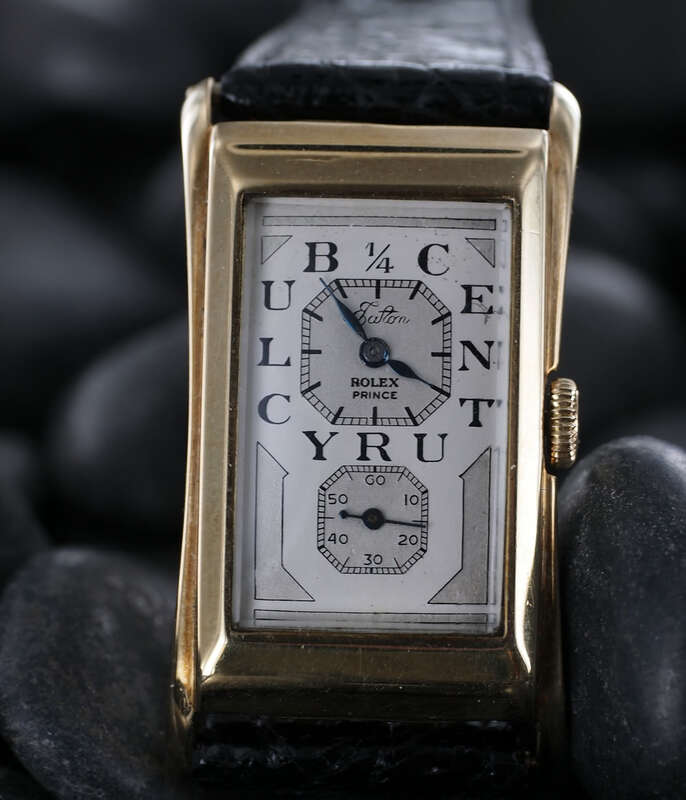 A big Canadian warehouse wanted to give their employees who had worked for them for more than 25 years a watch and ordered the ‘Quarter Century Club’ Prince by Rolex. 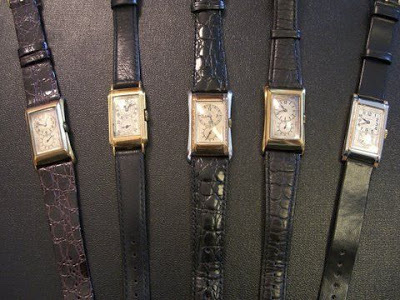 These watches had the words ’1/4 Century Club’ printed on the outer ring of the dial instead of the normal numbers. 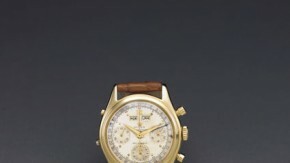 Finally Rolex reintroduced the Prince and it is for sale in 2013 (Rolex Prince). 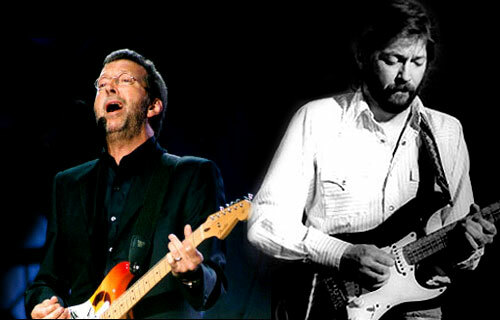 Eric Patrick Clapton was born in Ripley, Surrey, in the UK, on March 30th, 1945. His mother, Patricia Molly Clapton, was only 16 years old when Eric was born. His father, Edward Walter Fryer, was a 24-year old Canadian soldier, posted in the UK during WOII who returned to Canada after the war. Being a single teenage mother, Patricia was not capable of dealing with motherhood and her mother and step-father, Rose and Jack Clapp, decided to undertake this task. 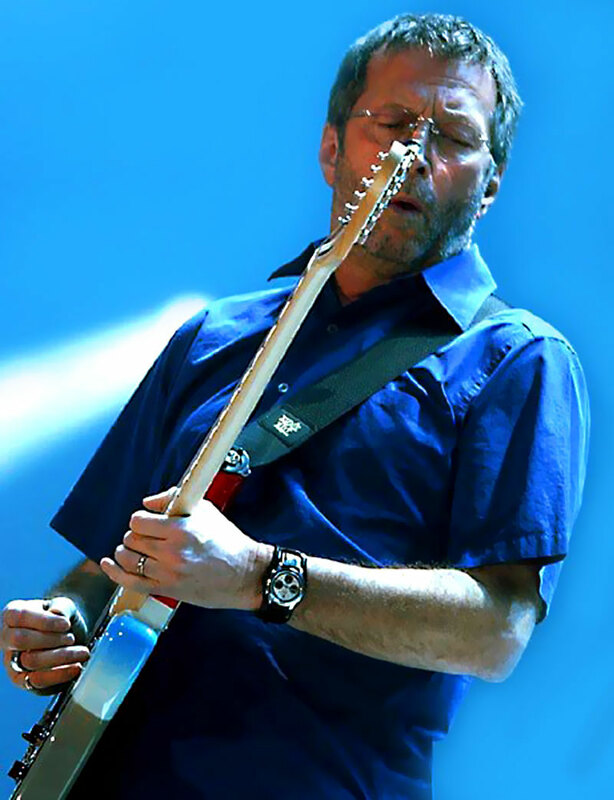 Eric’s family name originates from his grandfather on his mother’s side, Reginald Cecil Clapton. Eric grew up in a very musical household. His grandmother was a talented pianist and his grandfather appeared to be a decent pianist as well. When Eric was told the truth about his grandparents and mother – he thought they were his parents and sister – , he turned from a good student and popular boy into a reserved person who lost all motivation to study. However, at the age of 13, he appeared to have an outstanding talent for art and he went to the art department of the Holyfield Road School. In that time, 1958, rock and roll had caused an explosion within the British music scene. As a present for his 13th birthday Eric asked for a guitar and he was given a cheap Hoyer made in Germany. But he found it difficult and painful to play this steel-string guitar and he let it slide. It was not until he was 16 that, after being admitted to the Kingston College of Art, he was eager to get back to the guitar. Eric’s examples were blues guitar players like Robert Johnson, Muddy Waters and Alexis Korner. The latter inspired Eric to buy an electric guitar, which was relatively rare in the UK in those days. It was also at Kingston that he discovered something the lifelong impact of which would be almost equally great as the guitar: booze. After the first time of getting drunk, at the age of 16, he woke up in the woods, alone, covered with vomit and penniless. Eric remembers ‘I couldn’t wait to do it all again’. It obviously did not take long before he was removed from school. From 1963 on, Eric started hanging around in bars in London West End where he played with The Roosters, and Casey Jones and The Engineers for short periods of time. In order to get by Eric worked in the building trade. In October 1963, Eric was invited to play with The Yardbirds, scoring his first commercial hits ‘Good Morning Little Schoolgirl’ and ‘For Your Love’. In 1965 he left the band and was substituted by the guitarists Jimmy Page and Jeff Beck. Later they would be considered the best rock guitarists ever. After some time, in 1965, Eric joined the John Mayall & the Bluesbrakers blues band that would record the ‘The Bluesbrakers with Eric Clapton’ album one year later. This record established Eric’s reputation as one of the greatest guitarists of that time. With songs like ‘What’d I Say’ and ‘Ramblin’ on My Mind’ Eric won the very flattering epithet ‘God’, resulting from graffiti in the London underground saying ‘Clapton is God’. Despite this success, Eric left the Bluesbrakers rather soon and a few months later he created the rock trio Cream, together with the bassist Jack Bruce and drummer Ginger Braker. They played songs like ‘Crossroads’ and ‘White Room’ and after making three successful albums -Fresh Cream (1966), Disraeli Gears (1967) and Wheels of Fire (1968)- in addition to the extensive tour in the USA, Cream had gained an international superstar status. However, after two final concerts in the Londen Royal Albert Hall, Cream fell apart due to conflicting egos. It would lead too far afield to reveal Clapton’s remaining musical history entirely. The period between 1970 and 1987 was characterized by complete ambiguity. Clapton achieved tremendous musical successes (e.g. he wrote the song ‘Layla’ to express his desperate affection for Pattie Boyd, the wife of Beatle George Harrison), but his personal life was a mess. In the early 70s he was addicted to cocaine for three years and as of 1979 he had been a heavy alcohol abuser. One divorce after another followed, Clapton committed adultery and fathered two illegitimate children. In 1987, Eric gave up drinking with the 12-step aid of the AA and he has been sober since. Even in 1991 when he suffered a great personal tragedy. His son Conor died after he fell from a window in his mother’s house. 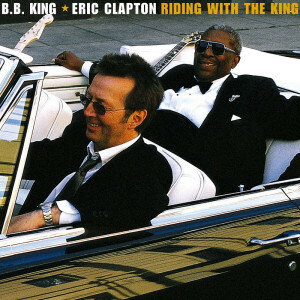 In connection with this tragic event Clapton wrote the song ‘Tears in Heaven’. 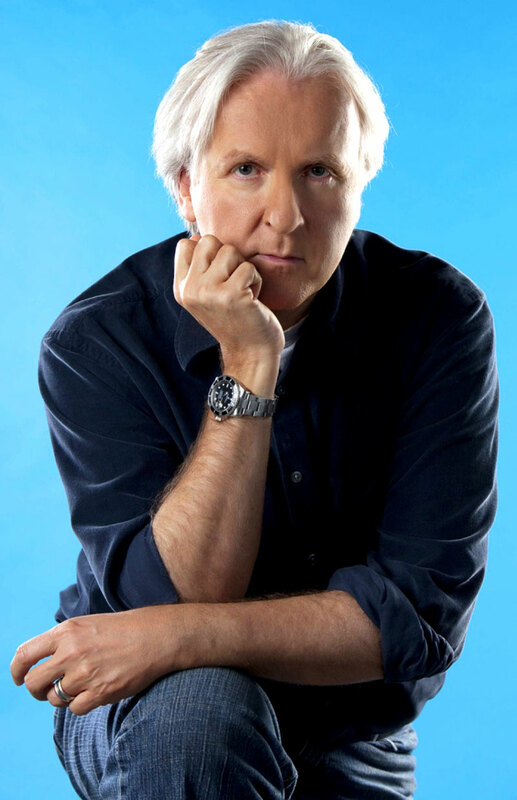 In 2002 he married Melia McEnery with whom he has three daughters, Julie Rose, Ella Mae and Sophie. Sober for the first time in his life, Eric greatly enjoys a stable family life. In 1998, he founded the Crossroads Centre, a alcohol and drug rehabilitation centre, and in 2007, Clapton’s autobiography was published. 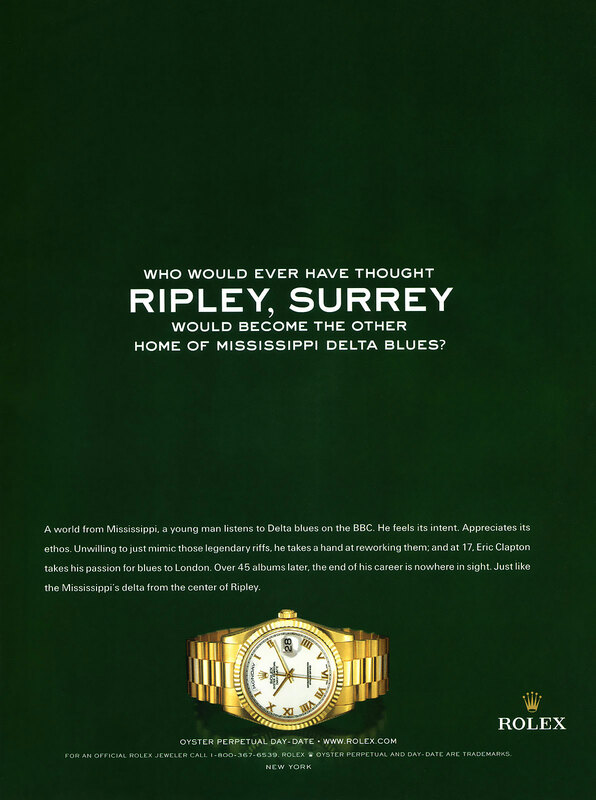 Eric Clapton is a collector of vintage Rolex watches and he is also an ambassador for Rolex. Recently, two very rare samples from his collection were auctioned the proceeds of which went towards the Crossroads Centre. 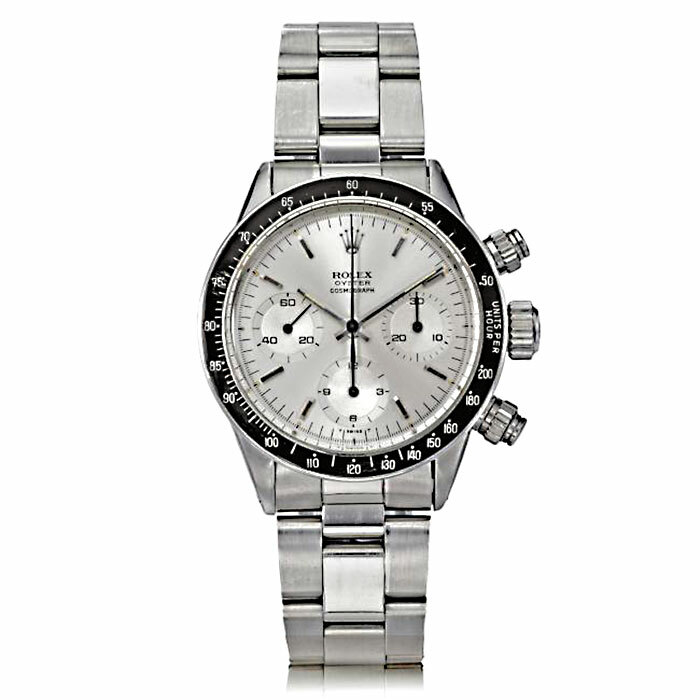 This stainless steel Rolex Daytona was auctioned a few years ago and the bidding went up to $ 505,000, which was a worldwide auction record. What makes this watch very special is the ‘Albino’ dial, as it is extremely rare. The Yachtmaster Daytona was a prototype of Rolex and was never put on the market. The prototype had the ref 6239/6242 and only three samples of this model are known. 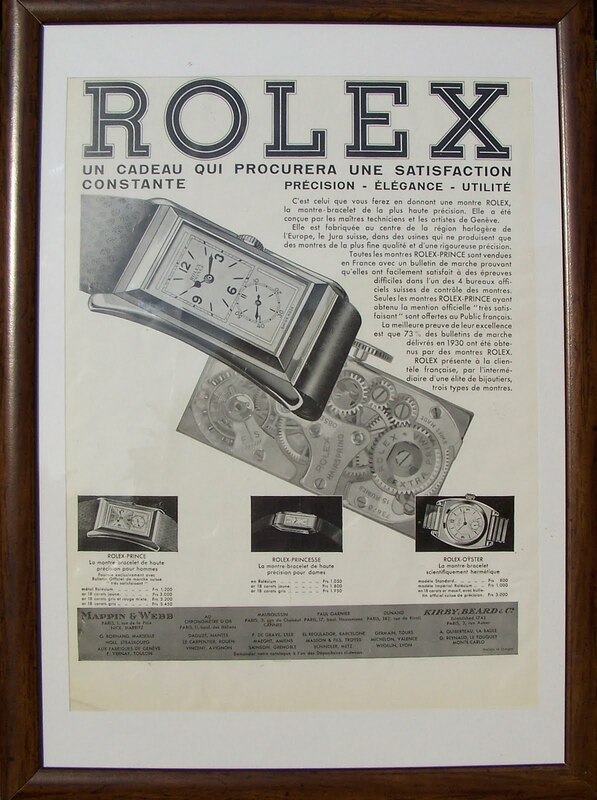 The first was Clapton’s, the second John Goldberger’s and the third is included in the private Rolex collection (this one has a special frame with ref 6542). Clapton’s Yachtmaster was auctioned in 2003 by Christie’s for $ 125,000. 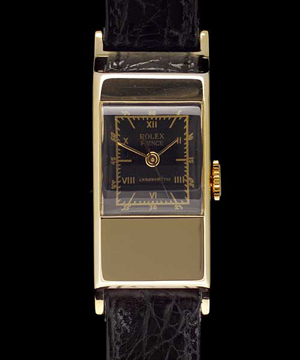 -Ref 6062: in 18-carat gold with diamonds on the dial, considered the best Rolex ever. The Ferrari 250 GTO is a GT car which was made by Ferrari from 1962 till 1964 for the homologation of the FIA’s Group 3 Grand Touring Car category. The ’250′ in the name represents the one-cylinder capacity expressed in cubic centimetres and GTO stands for ‘Gran Turismo Omologata’, Italian for ‘Grand Touring Homologated’. 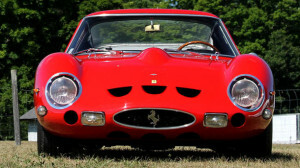 A new GTO could be purchased for $ 18.000 in the US and buyers were to be approved of by Enzo Ferrari himself and his dealer in North-America, Luigi Chinetti. In 1962/63, 36 GTOs were manufactured. In 1964, the ‘Series II’ was introduced with a slightly different appearance. Three of those cars were manufactured and four ‘Series I’ were converted to the 1964 version, adding up to 39 GTOs in total. 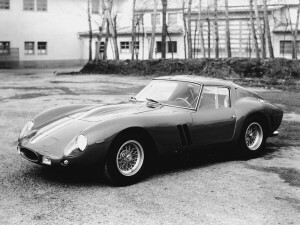 The 250 GTO was designed in order to be used in GT Racing. It was based on the 250 GT SWB. Chief engineer Giotto Bizzarini removed the 3-litre V12 motor from the 250 Testa Rossa and put it in the chassis of the 250 GT SWB. 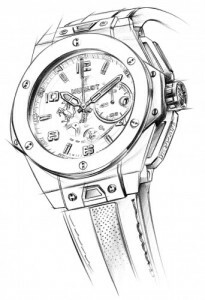 He and designer Sergio Scaglietti jointly designed the coach. After Bizzarini and the majority of the remaining Ferrari engineers were fired following a difference of opinion with Enzo Ferrari, the development route was passed on to Mauro Forghieri. He worked together with Scaglietti to further develop the exterior of the car, including the wind tunnel and track testing. 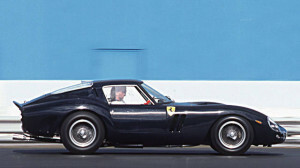 Contrary to most of Ferraris, the 250 GTO had not been designed by an individual or particular designer bureau. The remaining parts of the car were typical of the Ferrari technology in the early 60s: a hand-welded tube frame, A-arm front-wheel suspension, ‘live-axle’ back-wheel suspension, disc brakes and Borrani capstan wheels. The five gearbox originally designed by Porsche was new in the Ferrari GT racing cars; the metal plate inside which the gear lever was changing became traditional to Ferrari and can still be found in the new models. The interior was extremely basic, even with lack of a speedometer on the dashboard. Many of the switches were from the Fiat 500. The 1962 FIA regulations required that 100 samples of a car be built in order to be homologised for the Group 3 Grand Touring Car races. However, Ferrari produced only 39 samples of the 250 GTO: 33 ‘normal’ cars, 3 with the four-liter 330 motor (also called the 330 GTO, recognizable by the large bump on the bonnet) and 3 ‘Type 64′ cars with an altered appearance. 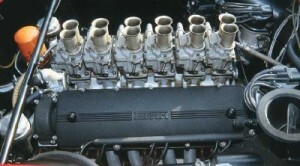 Ferrari circumvented the FIA regulations by not numbering the chassis numbers in sequence, suggesting the construction of cars that did not exist. The 250 GTO made its debut in the 12 Hours of Sebring in 1962, driven by the American Phil Hill (Formule 1 world champion at that time) and the Belgian Olivier Gendebien. Although the pair was initially annoyed that they had to drive a GT class car instead of a full-race Testa Rossa competing in the prototype class, the experienced couple deeply impressed themselves and everyone else by finishing second behind the Testa Rossa of Bonnier and Scarfiotti. This was followed by convincing victories at Goodwood in England and in France on the Auvergne and Monthlery circuits where the Ferraris claimed four out of five highest positions. At Le Mans Jean Guichet and Pierre Noblet won the GT class and they finished, unbelievably, second with an average speed of 113,077 mph (182,673 km/h) only to be exceeded by the speed of the winning Ferrari 330 LM, 115,245 mph (185,469 km/h). The other GTOs were outpaced and finished third and sixth. Later that year they finished second again twice, on the Nürburgring and the Bridgehampton circuit (USA). In 1963, the achievements were comparable to those in 1962. Overall victories were gained at Daytona, Florida (Pedro Rodriguez), Spa in Belgium (Willy Mairesse), during two important Goodwood races (Mike Parkes and Graham Hill) and in the Tour de France (Guichet/Jean Behra). At Le Mans the 250 GTO won again the GT class and finished second overall. 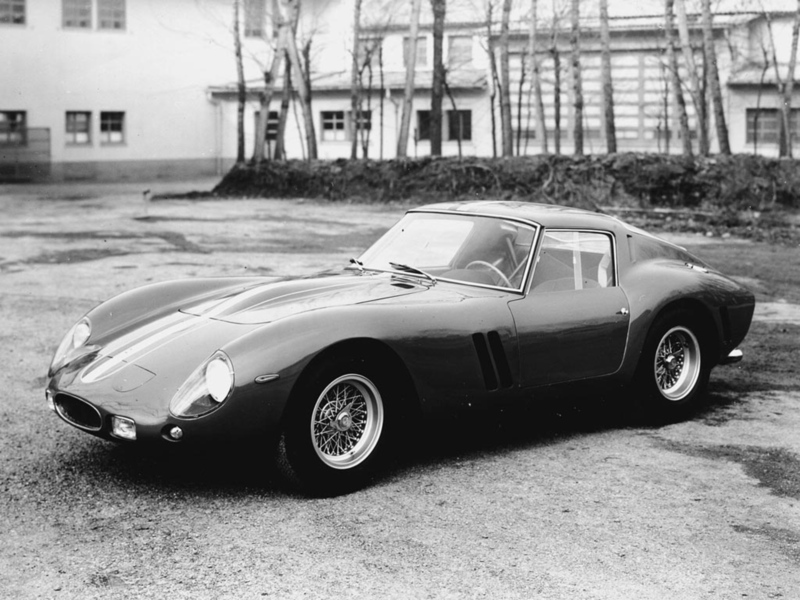 Eventually, the 250 GTO was to win the FIA International Championship for GT Manufacturers in the < 2 liter class in 1962, 1963 and 1964. 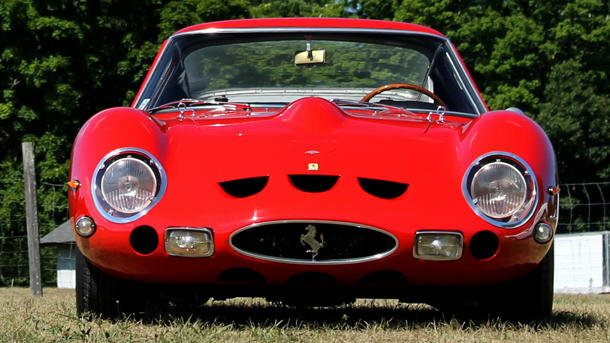 The 250 GTO was one of the latest front-engine cars to remain competitive in the top of car racing. 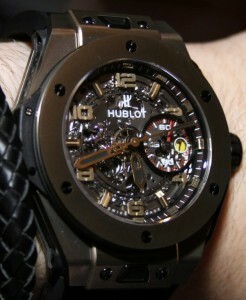 The listed details are those published by Ferrari at the model’s presentation. 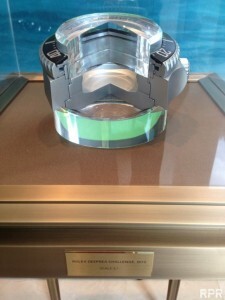 For the models produced in the participating in these two categories) and Gran Turismo. 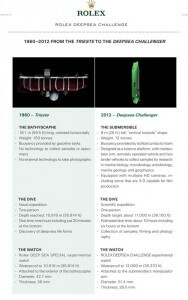 (the road-going cars, many of which also took part in various international races). first years no external measures of the body were given, because those could vary from car to car. 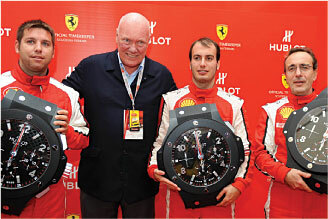 All models from Ferrari have been divided into three categories: single-seater, Sport/Prototype (theThe year of all the models’ introductions is the debut in competitions for the single-seaters and Sport /Prototypes and the official presentation as far as the Gran Turismo are concerned.